Erik and Jacob - We set out to photograph my handsome boys during the colorful Alaskan fall of 2005. Erik is 7 and Jacob is 4. I was working with portable off camera flash to help eliminate the strong sun. 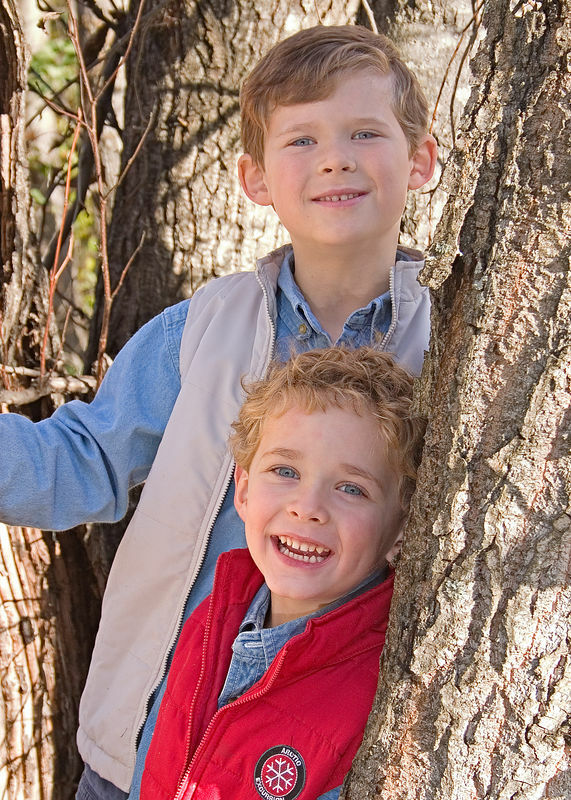 Here, both boys were in the shade provided by the large Cottonwood tree trunks, but the flash helped fill the exposure. This was the best of a large number of photos taken in various locations around Cheney Lake. Terrific shot! Very well composed and good use of the fill flash.